Family & Relationships: Tomás Gilmartin (adoptive father, deceased) , Ita Gilmartin (adoptive mother, deceased), Úna Ní Riain (biological mother), Feargal Ó Briain (biological father), Mack (uncle), Ollie (half-brother), Colm (Partner), Peatsaí Ó Riain (grand-uncle). Occupation: Bartender in Tigh Thaidhg. Mo was quite a troublesome tomboy by nature, but through the passage of time has morphed into a young lady. Mo however, would be more comfortable, hanging with the guys, than shopping for the latest eyeliner. Although she may not be high maintenance woman, this does not stop her wanting to be treated with respect and sensitivity. Truthful, loyal and determined, she won’t pretend to like you to your face and gossip about you behind your back. Mo has no qualms about telling it like it is, she doesn’t skirt around issues. Growing up being an orphan child has made Mo who she is today – strong and independent. Romance wasn’t her strong aspect but she is now in a very happy relationship with Colm. She is surprised at how in love they are especially when he is happy to support her through her fight with cancer. 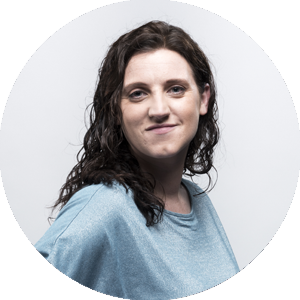 Úna returned into her life when she found out her daughter was sick and they are working on building a relationship together.